Beautiful drawing/artwork. Has the look of Bas Relief. Wolf (or Fox? )-boy, is it? Hmm, lucky animal! His other artwork is equally beautiful. Check them out! 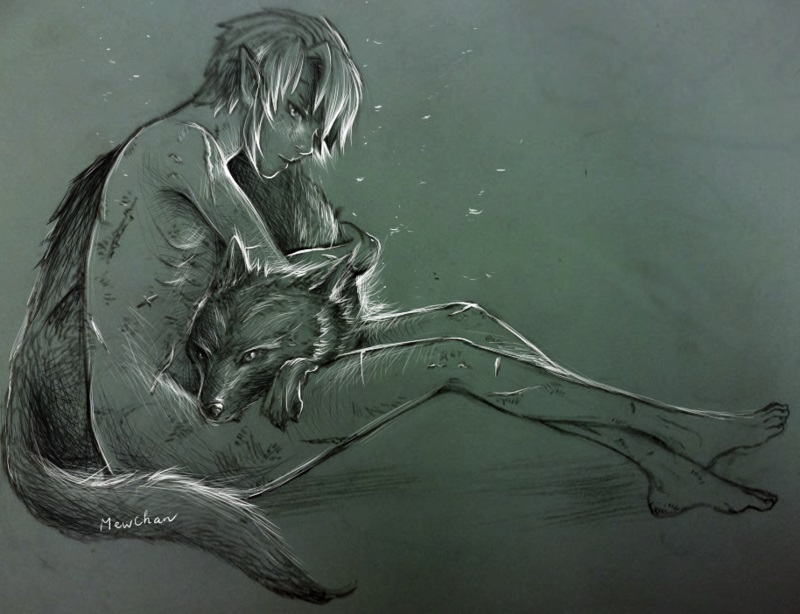 ~’Link’, wolf, boy… Quite a nice reimagining.